Almost all in service and structures need some form of maintenance for monitoring their reliability and health conditions to extend their lifespans or to avoid cataclysmic failure. 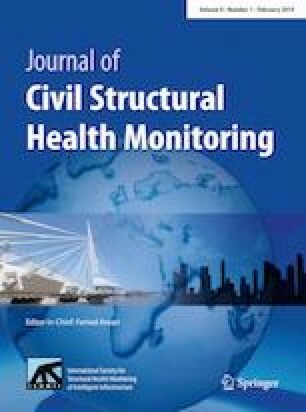 Structural health monitoring (SHM) is an advanced topic in the field of structural engineering that enables to monitor the structures for future safety. Considering this importance, the current research carries out SHM algorithm for RC high-rise building structures with shear walls. In this study, an approach applicable to real-time has been presented enabling decision-makers to assess the structural condition during the extreme cases. The parametric study has been done on ten stories RC residential building located in Walnut Creek, in the California State USA by considering four major recent earthquakes in the region. For algorithmic examination, general engineering demand parameters (EDPs) have been introduced. The EDPs such as spectral displacement (Sd), Inter-story drift ratio (∆s), Arias intensity (Ia) and spectral acceleration (Sa) limits have been investigated.